The transfer window is closed but managers are working hard on their plans for the summer so we’ll bring you all the latest gossip from around the globe. Today, Man Utd are ready to bid for Ryan Sessegnon…. Manchester United are ready to steal a march on Liverpool and Tottenham by launching a £40m bid to sign Fulham starlet Ryan Sessegnon this summer, according to the Sun via TeamTalk. Sessegnon has been with Fulham since joining the club as a youngster and he progressed through the youth ranks to emerge as one of the most exciting young talents in European football. The 17-year-old broke through as a left-back last year but has been playing further forward this season which has led to him providing 14 goals and 5 assists in 38 league games so far this campaign. That stunning form has caught the attention of clubs in the Premier League with TeamTalk claiming that Liverpool, Spurs and Man Utd are all battling it out over his signature this summer. Mauricio Pochettino could be eyeing Sessegnon as a replacement for Danny Rose while Jurgen Klopp is also being tipped to strengthen his options with Alberto Moreno’s future in doubt. However, it looks like United are ready to steal a march on their rivals as TeamTalk are citing a report from the Sun that claims Jose Mourinho is planning to test Fulham’s resolve with a formal £40m offer. 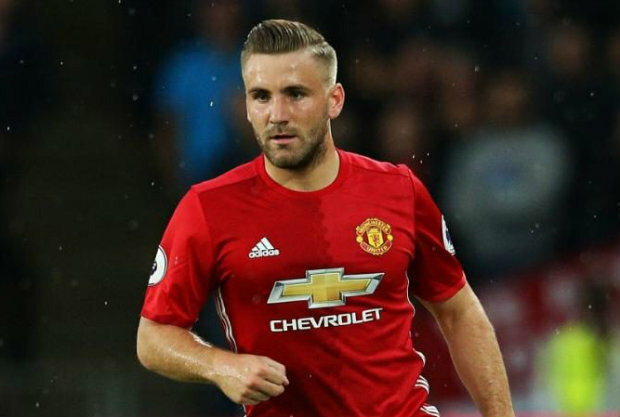 Mourinho is expected to be in the market for a new left-back as Luke Shaw is set to leave following a bust-up with the United supremo and Sessegnon is being lined-up as a replacement. The report says Shaw will be allowed to leave Old Trafford at the end of the season and Mourinho wants Sessegnon to spend a year learning from the likes of Ashley Young before taking over the first team shirt in 2019. We’ll have to wait and see how things develop over the coming months but Sessegnon is a huge talent so I think he would be an excellent signing if United manage to beat the likes of Liverpool and Spurs to his signature.